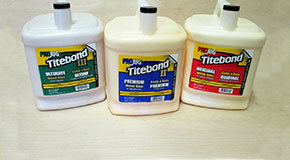 Titebond II Fluorescent can help any woodworker achieve professional-looking results. It provides a strong initial tack and fast speed of set to reduce clamp time. It also develops bonds stronger than wood, offers excellent sandability, and is unaffected by finishes. Titebond II Fluorescent contains a dye that, when viewed under a black light, enables woodworkers to inspect the glue line and assist in the cleanup process. It is ideal for most porous materials, is easy to use and cleans up with water. Titebond II Fluorescent Glue is not for continuous submersion or for use below the waterline. Not for structural or load bearing applications. Do not use when temperature, glue or materials are below 55°F. Freezing may not affect the function of the product but may cause it to thicken. Agitation should restore product to original form. Because of variances in the surfaces of treated lumber, it is a good idea to test for adhesion. 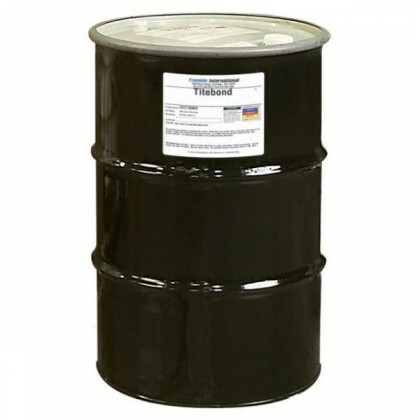 For best results gluing exotic or oily woods, such as Ipe and Teak, please contact Titebond Technical Support Team at 1-800-347-4583. Not FDA approved for indirect food contact. Read MSDS before use. Keep from freezing. Keep out of reach of children.